Hi, my name is Jeff Smith and I live on the south coast of England. 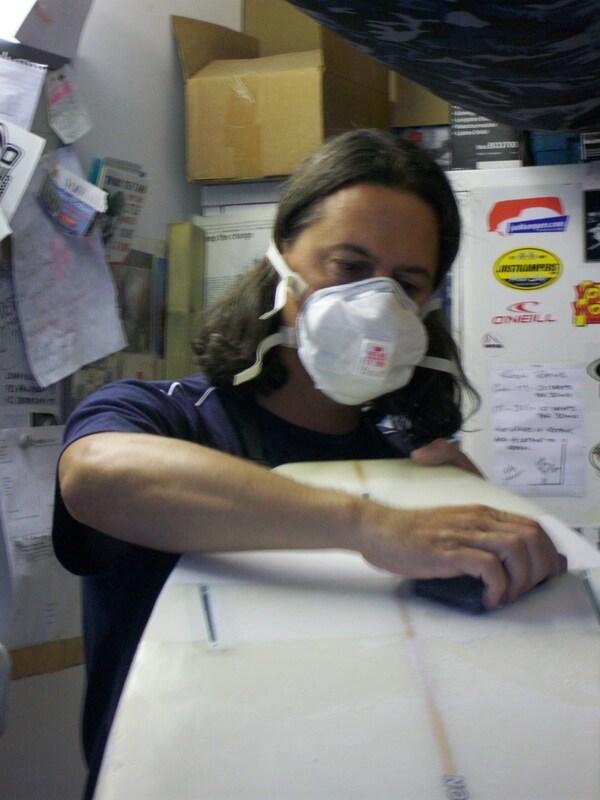 I run an independent business specialising in SURFBOARD and SUP repair. I am listed on the MAGIC SEAWEED website. Thanks Jeff for a most excellent repair to the old vehicle. Looking forward to riding the old girl again, if my 10 year old daughter will let me – the title should really read Lola’s Beach Beat Bonza! Great job jeff. So thats how a repair should be done!! Thanks again cheers Paul. I would recommend to anyone! Quick and an amazing quality! Thanks so much Jeff! couldnt have asked for any more James H.
Nice session at the pier this morning, used my Stewart Hydro Hull 9’1 longboard which I’ve had for 15 years but has been sitting in my garage in need of repair for about 6! Jeff Smith from southcoastcustomsurfboards.com patched it up a treat. I forgot how good it was, great session. Jeff is a perfectionist and highly recommended. Hi Jeff, The pics show the damage but I can tell everyone it was far worse than the pics show, I’d fallen on rocks and the board had taken the brunt of the fall, really didn’t think I’d get my board back in anything like the perfect condition prior to the fall. Step in Jeff, the board has been lovingly restored, I rode it for the first time since the fall the other day and it was great and more importantly, looked fantastic. Jeff the Ding Doctor does it again, great job and stoked to have the old girl back looking great and water tight! Thanks Jeff!! Jeff is like a magician….. with bad jokes Thanks mate. Thanks for this Jeff. Great job after I had fully bodged it! Lets hope she goes well. Thanks for a fantastic job. Absolute pleasure to meet you & thanks for helping determining where the plugs should go. Finished job is much better than I expected, and I expected a lot!! Feel very confident that the mounts are strong & I won’t lose my go-pro as I would expect to happen if I used the adhesive mounts they supply.Will be recommending you to everyone I know (that surfs! )Hope to catch up with you in the waves one day.Cheers, Paul. lovingly restored, thank you so much Jeff. Please click on this link below to see my Facebook page reviews, Aloha Jeff. Cheers Lucas, some surfboards talk to me and tell me there issues, I felt sorry for her story – she told me of every ding, dent and crack she had endured and the happiness she gives to you. She later added she wants to go somewhere warm and bust her shapely tail out in tropical waters.Let me know how she rides now, THANKS again Jeff. Behind every happy shaper is a supportive Wife 🙂 ,we are both blessed to have understanding wives. I just wanted to take a quick moment of your time to tell you how much I enjoy your site, your craftsmanship, and dedication. Keep up the brilliant work mate! Thanks again for the structural repair on my board today Jeff. Perfect job. Looks as though it was never damaged in the first place (I can lie with confidence now, if I decide to sell it, and say that it has never had any dings or repairs! ).